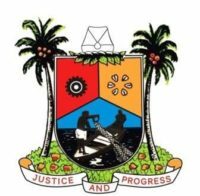 Lagos State Commissioner for Works & Infrastructure, Engr. 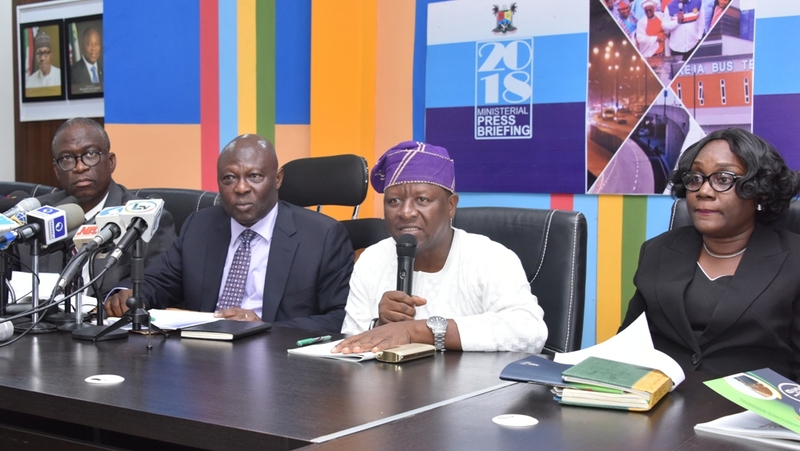 Adebowale Akinsanya (2nd right), addressing the media during the on-going Y2018 ministerial briefing at the Bagauda Kaltho Press Centre, the Secretariat, Alausa, Ikeja, on Wednesday, April 18, 2018. With him: Commissioner for Information & Strategy, Mr. Kehinde Bamigbetan (right); Permanent Secretary, Ministry of Works & Infrastructure, Engr. Olujimi Hotonu (2nd left) and Chairman, House Committee on Works & Infrastructure, Hon. Abiodun Tobun (left). Permanent Secretary, Ministry of Works & Infrastructure, Engr. Olujimi Hotonu; Commissioner for Works & Infrastructure, Engr. 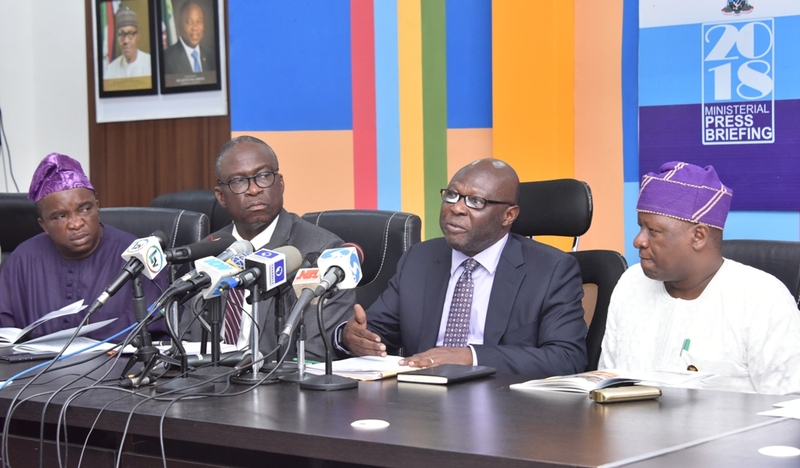 Adebowale Akinsanya; his counterpart for Information & Strategy, Mr. Kehinde Bamigbetan and General Manager, Lagos State Infrastructure Maintenance and Regulatory Agency (LASIMRA), Mrs. Olayemi Oni during the on-going Y2018 ministerial press briefing at the Bagauda Kaltho Press Centre, the Secretariat, Alausa, Ikeja, on Wednesday, April 18, 2018. Lagos State Commissioner for Works & Infrastructure, Engr. Adebowale Akinsanya (2nd right); his counterpart for Information & Strategy, Mr. Kehinde Bamigbetan (right); Permanent Secretary, Ministry of Works & Infrastructure, Engr. Olujimi Hotonu (middle); Chairman, House Committee on Works & Infrastructure, Hon. Abiodun Tobun (2nd left) and Special Adviser/CEO, State Public Works Corporation/Drainages, Engr. 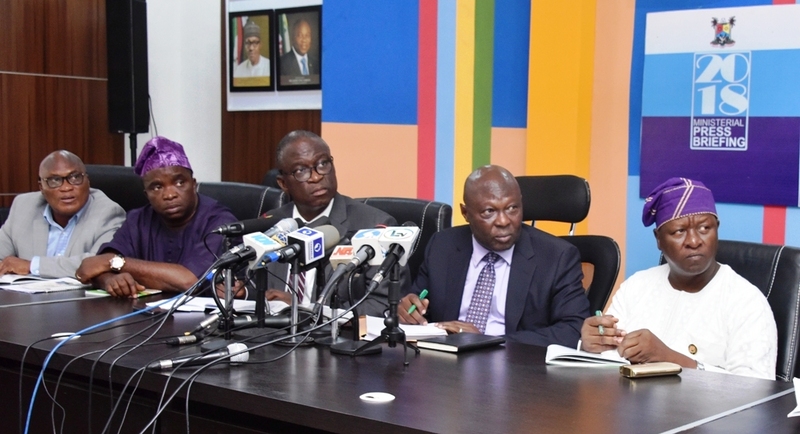 Temidayo Erinle (left) during the on-going Y2018 ministerial press briefing at the Bagauda Kaltho Press Centre, the Secretariat, Alausa, Ikeja, on Wednesday, April 18, 2018.